I first met Marilyn at Tyler & Chelsea’s wedding back when I was super duper pregnant with my youngest, Izzie, and I was waddling around from location to location to capture their wedding day. Marilyn was the wedding planner and she did an amazing job shooing people on and off the party bus while helping me make the most of our tight timeline. She mentioned she was impressed with my flexibility and wanted to book me for her own engagement + wedding pictures! What a huge compliment!! Of course as a wedding planner, she came into the photography process with a lot of ideas which I was more than happy to accommodate! We started her and Michael’s engagement session off at the Blue Ridge Parkway with some scenic views and pockets of stunning fall foliage. Then we shifted gears for some romantic after-dark portraits on the downtown mall in Charlottesville, VA. I love the way their pictures came out! Are you recently engaged and looking for a high quality wedding photographer? I would love to sit down and talk with you! 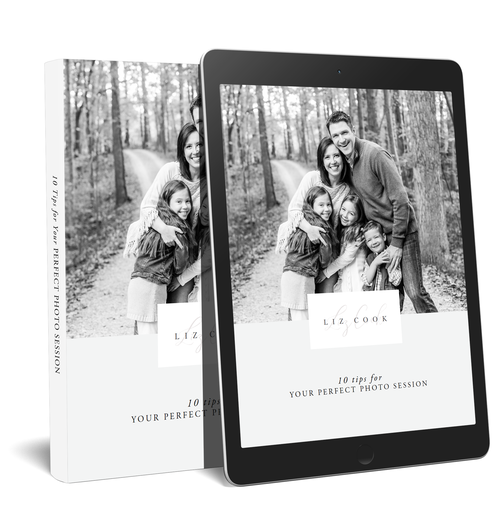 Simply fill out the contact form and you will receive my full pricing guide immediately as well as more information about the next steps to plan your big day! You may click here to schedule a complimentary in-studio consultation at a time that works best for you, too. Here at Liz Cook Photography, we work hard to ease your stress when it comes to wedding photography during your day. With over 13 years of experience, we have curated a system to help ensure you receive high quality photographs that tell the story of your unique day in a beautiful, efficient, and relaxed manner. With questionnaires, pre-wedding portrait sessions, flexibility to meet your needs, and numerous resources available, it is our goal to make your experience an excellent one! Liz Cook is a wedding and engagement photographer in Central Virginia. She travels around the world photographing fun and easy going couples in love. Her specialty is emotive, timeless, and relaxed portraits as well as experienced efficiency during your big day.